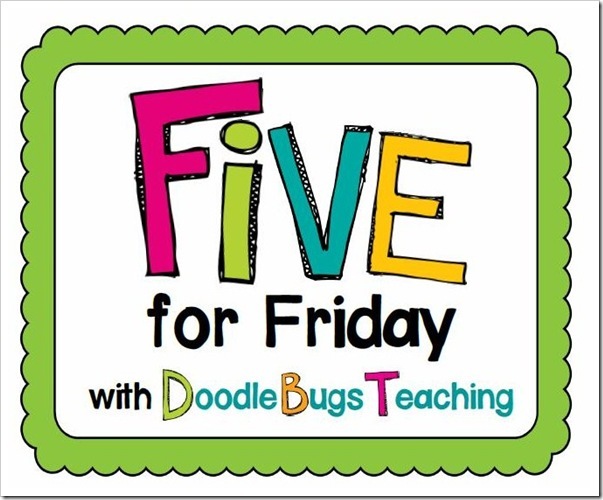 Five for Friday Linky Party | The Techie Teacher® . #5 Valentine's Day Rotations! The kids visited one of their favorite stations: The Smartboard Station and did some VDay multiplication from Flapjacks. Check out Factor Friends from their TpT store! #4 VDay Twister! I bought this from Oriental Trading. After a few rounds of this game, students really knew the difference between RIGHT and LEFT. #3 Production Day! We made chocolate covered pretzels to sell at the 3rd grade Economics store. After this "project", I never want to see chocolate covered pretzels again! #2 Selling our products at the 3rd grade "Economics Store". This place was a MAD HOUSE! We made $950 in the two days we were open! #1 We discovered our new favorite Brain Break: The Chicken Dance! Click on the video below to check it out yourself! So happy I found you today. Going back to school after a few days off - might have to try the chicken dance brain break! Thank you! I am a new follower!